Not all cannabis strains were developed for the indoor growing environment, especially for the inexperienced grower. What characteristics do you need to look out for when sourcing the perfect strain for indoor growing? Some strains are ideally suited to indoor farming because of their size, short growth cycle and disease resistance. For the beginner weed grower, knowing how to use genetics in your favor can have enormous ramifications for the success of your crops. Keep reading to see the best cannabis strains to grow indoors. What Makes Good Indoor Cannabis? Even vegetable farmers know that some plants are better suited to indoor container gardening than others. Just like with vegetables, some cannabis strains have genetic properties which lend themselves well to indoor conditions. Some have improved disease and mildew resistance, smaller stature, shorter growth cycles or just general ease for the beginner gardener. Finding a strain of weed with the perfect combination of these traits can make or break the newbies' indoor operation. Appreciating the benefits these characteristics can provide, are the first steps to determining the perfect indoor strain. Although you might think that outdoor cannabis is more susceptible to disease and rot, this is a common mistake. As an indoor grower, you are responsible for all the elements required for life. Getting any of the equations wrong, whether it lights, water, or nutrients, can lead to a challenging crop. Thankfully, there are some strains of marijuana out there that are bred to resist disease and root rot naturally. Importantly, they resist infection without the need for added chemicals into your grow room. For the beginner, finding strains with disease resistance is an easy method to reduce the risk of total crop failure. Some strains grow tall and lanky. Some strains grow shorter and much bushier than others—Indicas in particular. Growing indoors is to grow in a restricted space, making bushier strains sometimes much more suitable to indoor growing. However, if you use SCROG techniques or other manipulative training methods, taller lankier strains are much more trainable. Also, some strains also perform better in hydroponic setups, while others are better suited to soil or soil alternatives. Do a little research on your specific set up before choosing a strain. This research can help to ensure your cannabis grow room is ideally suited to the chosen type of weed. While there are always exceptions, generally speaking, sativa strains make poor indoor crops. Their flowering cycle is much longer than an indica, and they tend to grow up and out instead of closer to the ground. Indica with its much shorter flowering cycle has better-suited growth patterns for indoor options. If you do prefer the effects of an uplifting, stimulating sativa, but are looking to grow indoors, try exploring the hybrid options. There are many sativa hybrids on the market today, with the growth patterns of an indica. Some strains are just easier to grow than others. Each strain comes with a unique set of growing requirements, some of which are more complicated than others. It doesn’t take a rocket scientist to grow weed indoors, but the process does tend to have a learning curve. Use common sense and learn the very basics with the easy strains before getting into more complicated and sensitive options. With a solid foundation of what makes an excellent indoor strain, here are the top picks for best indoor weed strains to get started growing. White Widow is an indica hybrid with a higher than usual level of THC. It’s not only a smaller sized strain, but it's also an autoflower version. Autoflower is a type of plant that doesn’t rely on changes to lighting to trigger the flower growth stages. Instead, it automatically switches, determined by the plants own internal clock. For beginners, having a plant which automatically starts flowering takes much of the burden of light management off the shoulders of the grower. As an indica hybrid, its flowering cycle is also reasonable, roughly seven to nine weeks. It’s less finicky than other strains, growing in standard humidity and environmental conditions. It's generally hardy and boasts relatively good yields. White Widow has long been a favorite medicinal product due to its pain relieving and nausea management qualities. For those that prefer sativa strains, Blue Dream is a perfect sativa-dominant hybrid for indoor growing. Although relatively taller than other common indoor strains, it may be a good candidate for certain types of indoor plant training techniques. It has an above average yield and has a pretty short flowering cycle for a sativa - only 65 days on average. When grown indoors, under optimal conditions, the average yield is roughly 21 ounces per square meter. It's more susceptible to red mite infestations than other strains, which is why it's better managed indoors where farmers can control all growing conditions. It’s called Blue Dream because the final product tastes sweet, with a mild blueberry taste. One of the most popular strains hitting dispensaries today but with an added twist. The Girl Scout Cookie strain is now much improved, with the Girl Scout Extreme variety. It is a hybrid indica dominant strain developed by OG Kush and Durban Poison. It has a slightly longer flowering time of ten weeks, which is an important consideration for some indoor growers. It's notably easy to grow, even for newbies, because of its all-natural disease and infection resistance. Its a sturdy, stocky strain of weed, which lends itself well to indoor operations. When growing indoors, it will likely top out at 66 inches tall. With a chocolatey minty scent, it has a beautifully unique aroma, not found in other common strains of cannabis. Looking for super skunky indoor strains, look no further than one of the most popular strains in the entire world. Super Skunk is a well-balanced cannabis strain, with roughly one percent CBD to 20 percent THC cannabinoid content. 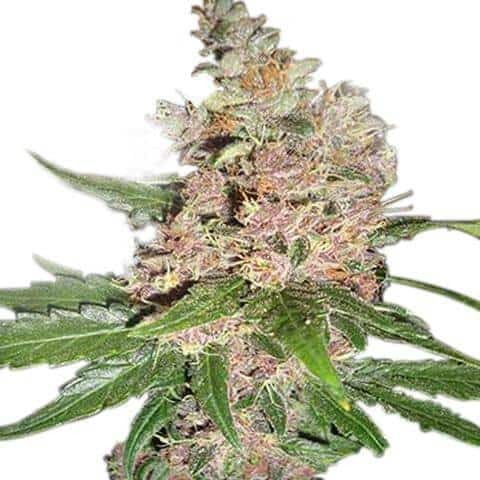 It has exceptionally high yields and is generally considered easy to grow even for beginners. Typically indoor yield expectations should be roughly 18 ounces per square meter. For anyone impatient with longer flower cycles, Super Skunk is an excellent choice as it has one of the shortest periods on the market: only 52 days on average. Long considered a super strain for its super flexible nature, it grows well in many different indoor growing environments. It's an enormous strain to learn the basics of indoor weed growing. Another good indoor strain, Sour Diesel is considered moderately difficult to grow. It grows tall but is adaptable to many different training techniques used throughout the indoor industry. When grown indoors, it has a 10-week flowering cycle and roughly 16 ounces per square meter. Although outdoor operations can expect huge plant development, free operations are much more susceptible to mildew. This is another well-balanced sativa dominant strain, perfectly suitable for smaller indoor grow rooms. This strain contains high THC, and a moderate level of CBD, helping to control the psychoactive tendencies of THC heavy strains. Sour Diesel, one of the most popular strains around the world, has a pungent, sour aroma. If you are going to grow cannabis, you need to do it right. 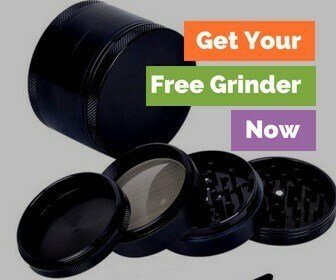 Start off with legit seeds that you've bought from a reputable seed bank to get some of the best cannabis you've ever smoked. Learning how to grow indoors first teaches you how to focus on just the plant since you don't have to account for environmental issues. When growing indoors, you want shorter plants to utilize your grow room as well as you can. 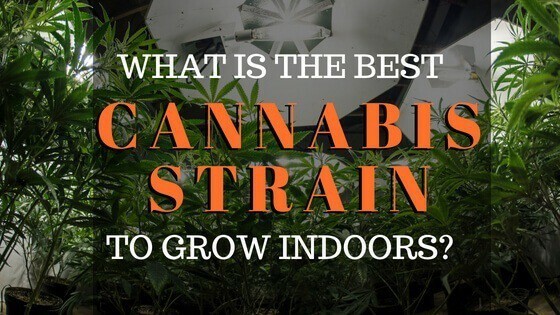 The best cannabis strain for growing indoors is going to be a beginner level strain, and preferably an autoflower like a White Widow or Blue Dream.